beyond the classroom: visits, competitions, summer schools, masterclasses, links with universities, businesses and other organisations. 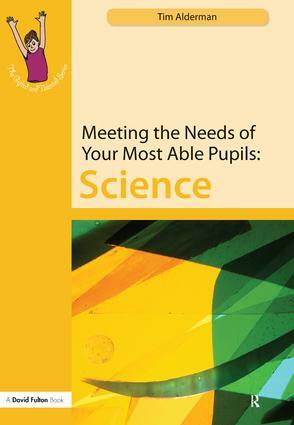 This book is an essential resource for secondary teachers, subject heads of departments, Leading Teachers for G&T Education (Gifted and Talented co-ordinators), SENCos and LA advisers. Tim Alderman is the cluster co-ordiantor for Gifted and Talented in the Liverpool area. He is Head of Science in a Liverpool comprehensive school and plays an active role in the Excellence in Cities initiatives in the North West.